Drafting, voting on, and executing comprehensive tax reform legislation is no easy feat for lawmakers, regardless of their political affiliation. The fact that any tax reform bill was able to pass both the Kentucky Senate and House of Representatives – to help modernize the Commonwealth’s tax structure – is an accomplishment in itself. It is an accomplishment because tax reform has been a topic of discussion for numerous governors and legislators for over 25 years - and in 2018, we finally acted on it. The issue of requiring religious and non-profit educational and charitable organizations to pay sales tax on money generated through some of their fundraising activities has been one that many constituents have questioned since the tax reform package took effect earlier in July. However, the recently enacted revenue bill did not start this requirement for non-profits to charge sales tax. There have been laws since the 1970’s that would require non-profits to charge sales tax on tangible items and admissions to spectator-type events, but the Department of Revenue (DOR) has never enforced these laws. The DOR allowed a general exemption under Section 170 of the State Constitution. At the end of March 2018, though, the Kentucky Supreme Court ruled that Section 170 of the Constitution does not exempt non-profits from collecting taxes (Department of Revenue v. Interstate Gas Supply). At about the same time as this Kentucky Supreme Court decision, the General Assembly passed revenue bills that only expanded the definition of “admissions” to additionally include participatory event admissions. There was no language in the bills that specifically included non-profits. This was only due to the reversal of DOR practice by the Supreme Court. 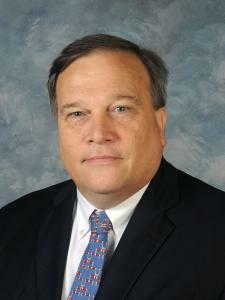 Kentucky House Speaker Pro Tempore David Osborne recently pre-filed a bill for the 2019 Regular Session of the Kentucky General Assembly amending Kentucky Revised Statute 139.495 to exempt these non-profits from paying the sales tax. I am supportive of Speaker Osborne’s bill. It was never the intent of the Legislature to force non-profits to charge sales tax on tangible items or admissions to events. Speaker Osborne’s pre-filed bill has an emergency clause, and I expect the General Assembly to act quickly on this measure, to provide relief for the non-profit community in the Commonwealth. Was the 2018 tax reform package perfect? Of course not. But we believe that record contributions to the SEEK formula and fully funding our Commonwealth’s struggling pension systems–while moving our ranking on the State Business Tax Climate Index from 33rd to 18th–are overall positives for the citizens of Kentucky. We believe this was a fair proposal that ultimately will make Kentucky more competitive on a national and global scale.